Right off the heels of winning Tour of the Year from the Pollstar Awards for Lady G’s Monsterball Tour (which I saw in Chicago 2010 and it was amazing! 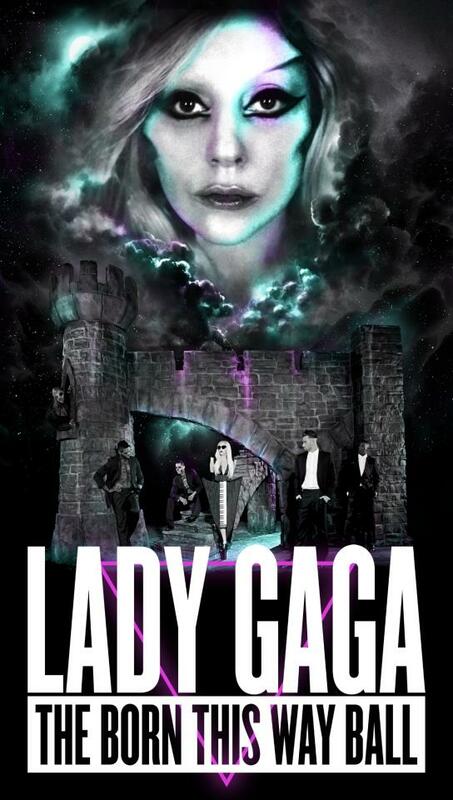 ), Mother Monster has released the official poster of The Born This Way Ball. The 2012-2013 tour is rumored to keep our Lady busy for 2 years and make over 420 tour stops. That is some serious touring, folks. 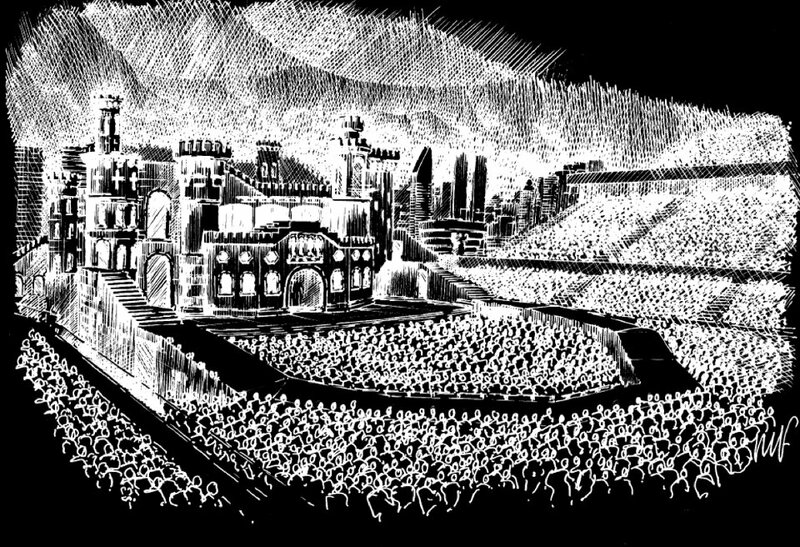 To the delight of us all, MM has also released a drawing of what the stage and arenas will look like. I SO SO SO want to get Monster Pit tickets (let’s hope it doesn’t turn out like the Florence + the Machine ticket waiting fiasco). The stage looks beautiful, like a medieval princess pop star singing to her beloved commoners. And she even has designed a circular stage so she can go out amongst her fans. There really is more “front row seating” than normal which is WAY WAY cool. Oh please oh please oh please let me get tickets to this. I’m starting to save RIGHT NOW.